The abdomen or tummy comes in many different sizes and shapes. Time, gravity, and pregnancies take their toll on the abdominal region. The tummy tuck is a major surgical procedure designed to remove excess skin and fat in the lower portion of the abdomen as well as to tighten up the muscles. Tummy tuck surgery can restore a more youthful appearance to the abdomen. The look of an abdomen which has loose skin with stretch marks. Muscle tone and repair the weak muscles of the abdominal wall (rectus muscle). The contour and smoothen up the edges of the abdomen after removal of excess fat by liposuction. Women who plan to have children are advised against this procedure, since pregnancy stretches the skin and muscle . Slender women with a history ofanorexia and bulimia are considered poor candidates. Each surgical solution needs to be tailored to the specific problem. Am I a candidate for a tummy tuck ? There is completely no doubt that drooping stomach wall tissues can look terrible. Even clothing cannot hide some abdominal deformities. Tummy tuck surgery can restore a more youthful appearance to the abdomen, to some extent. Read through the points indicated below to analyze your case. flabbiness and protruding tissue in their lower abdomen that won’t respond to diet or exercise. For them a tummy tuck might prove a meaningful solution. If the abdominal muscles that have been separated and weakened. It is sometimes combined with liposuction (spot fat reduction) to smooth the edges and improve the body contour. If the patient suffers fromobesity the panniculus of fat is removed at the same time. 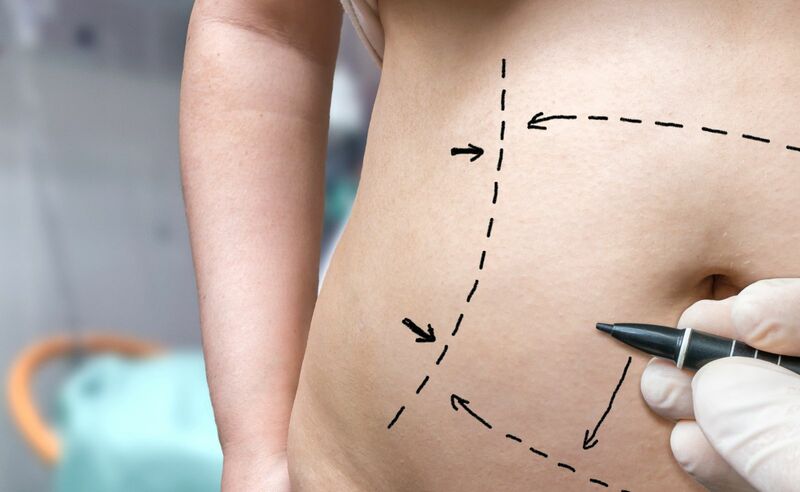 Abdominoplasty can enhance the appearance of the abdomen and your self-confidence, but it won’t necessarily change your looks to match your ideal, or cause other people to treat you differently. Before you decide to have surgery, think carefully about your expectations and discuss them with your surgeon. “You must also keep in mind about the cost of tummy tuck and liposuction. What is involved in a tummy tuck ? 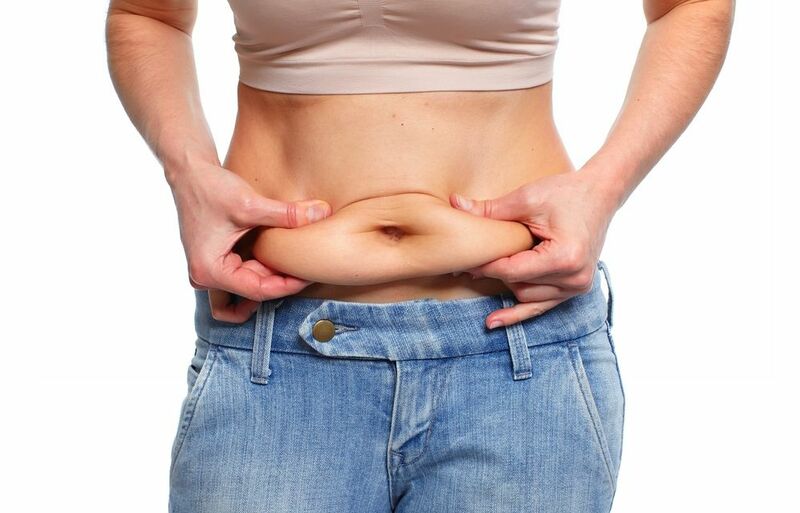 The best candidates for abdominoplasty or tummy tuck are women who are in relatively good shape but are bothered by a large fat deposit or loose abdominal skin that won’t respond to diet or exercise. Prior to surgery a photograph is taken . It provides an accurate record of the problem , and will demonstrate the improvement accomplished with surgery. The plan for surgery is then drawn on the abdomen while the patient is standing . This is necessary since the skin falls differently while standing than sitting . Due to the fact that the surgery to performed with the patient lying down , the map for surgery is essential to help ensure proportionally correct results. A tummy tuck is performed under a general anesthetic and takes approximately 1 ½ to 2 hours, either on an outpatient basis or with an overnight stay in the hospital. This depends on the patient and the surgeon. The incision for a tummy tuck extends just over the pubic hairline from hipbone to hipbone in a flattened W-shape . A keyhole incision is then made up the center of the lower abdomen and around the belly button. The belly button is left intact , but excess skin and fat from the lower part of the abdomen ( from the public hairline to the umbilicus and from hipbone to hipbone ) is removed. The exposed underlying muscle is tightened. TThe abdominal skin above the belly button is released from its fibrous attachments and is stretched downward to the public hairline. A small incision is made in this new skin cover for the belly button. The large incision is closed so that the scar is within the bikini line. Two small openings are left for drainage tubes . These allow any accumulation of fluid or blood to drain into the dressing. The dressings are changed and the tubes removed 48 hours after the procedure. Incisions usually heal in two weeks and no further dressings are necessary . The sutures are removed in 10 to 14 days unless they are self – absorbing .Smokers tend to heal more because smoking inhibits the blood supply to the wound. The patient is instructed to wear a girdle or corset over the entire abdominal area to provide support and comfort while healing . This decrease the chance of a seroma from developing. There are always risks associated with surgery and specific complications associated with this procedure. The main risks are swelling, bruising, fluid collections, bleeding, infection, a scar and numbness or change in feeling, plus a possibility of reaction to anesthesia. The main problem which is special for this operation is the long and sometimes heavy scar. The incision is sometimes slow to heal and crusting or scabbing along the scar may occur for several weeks. This is major operation and the risks of major surgery, such as blood clots in the legs, can occur. One of the most important ways to reduce the risk of blood clot is to encourage the patient to walk early after surgery. Usually the night of surgery the patient can get up to the bathroom. By the next day a walk round the room is valuable. Smokers are advised to stop, as smoking may increase the risk of complications (sensory loss) and delay healing. Same might be the case with women who have medical conditions such as diabetes or high blood pressure. You can reduce your risk of complications by closely following your surgeon’s instructions before and after the surgery, especially with regard to when and how you should resume physical activity. Eat a balanced diet and drink plenty of fluids. Extra vitamin C for about six weeks after surgery may reduce bruising and promote healing.